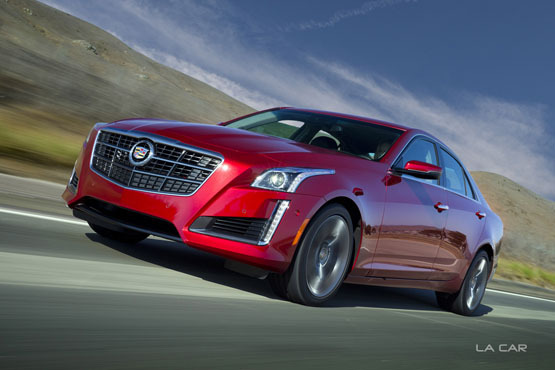 Cadillac’s second generation CTS is a winner. 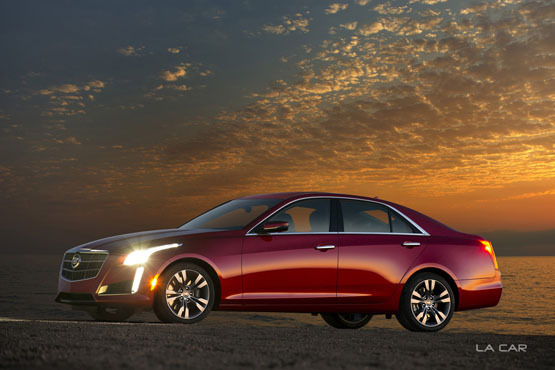 CTS VSport scores high for styling, performance, comfort, and technological wizardry. Cadillac’s first ever twin turbocharged engine is a 3.6L V6 producing 420 horsepower and 430 lb.-ft of torque. Another first for Cadillac is an eight-speed automatic transmission routed to the rear wheels. Electronic suspension settings are Tour – Sport – Track – Snow/Ice with discernable differences between each step. We found Tour mode sufficient but preferred Sport for its slightly more aggressive shifting. We liked the sophisticated lines of the first generation CTS. Our second generation CTS is more highly refined, modern, and attractive from all outside viewing angles. The interior is spacious, secure, familiar, and comfortable. We felt as though we were wearing the car, as say, one might a good pair of boots. Spirited driving along our favorite mountain roads reveal CTS’ handling prowess. Driving confidence is high as the Magnetic Ride Control system worked seamlessly to keep the car level at all times. This isn’t something you’ll notice until you look for it. Your first inclination may be to think you are that good a driver. Well, maybe you are. But CTS makes you that much better without scaring your passengers. Our short time with CTS didn’t allow for a meaningful test in Track Mode. CTS’ Twin Turbo 3.6L engine system spools up quickly and predictably. Gear changes can be made via steering wheel paddles but are best left to the factory calibrated performance tuning. Minor right-foot calibrations will ultimately produce a potent car/driver combination. Comparing one make of car to another is inevitable and this price range can get you a nice car, typically a European import. Domestic car fans can rest assured that Cadillac’s CTS VSport stands very well on its own and deserves a place on your shopping list.